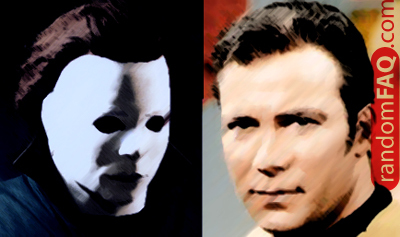 A mask of William Shatner was used due to a tight budget. Apparently it was the cheapest thing they could find near the set. Someone must have looked at the mask of Shatner and said, "Well, it scares me." Of course the mask was altered: larger, more dramatic eye-holes and a nice white paint job.